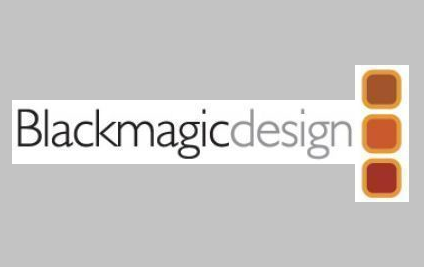 "The Blackmagic Design DeckLink HD Extreme 3D is a capture card that allows you to connect, capture and playback SDI, HDMI, analog component, S-Video and composite media on Mac, Windows, and Linux computers. You can use the HD Extreme 3D card with software such as Final Cut Pro, Premiere Pro, After Effects, Photoshop, Fusion, and ProTools. With regular 2D and 3D stereoscopic workflow support, you can use the Decklink HD Extreme 3D card for single and dual channel SDI capture and playback. 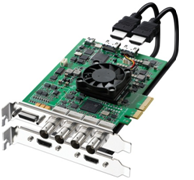 Integrated into the HD Extreme 3D card are dual link 3 GB/s, SD, HDMI 1.4, and analog/composite/S-Video connections. Also integrated is support for SD, HD, 3GB/s, HD-SDI, and 2K in 4:2:2 and 4:4:4." " Introducing the world's first live production switcher that combines a professional switcher with a broadcast quality H.264 encoder! That means you get live multi-camera production and broadcast encoding for the Internet all in one unit! ATEM Television Studio is so easy to use you don't even need to be a video professional to use it! Just plug in any HDMI or SDI camera and you are live! You can even use low cost consumer HDMI HD cameras!" "Simple, Sleek and Innovative Design UltraStudio Pro's innovative design looks great on your desktop while hiding the cables behind the unit. With dozens of audio and video connections built-in, you can keep your studio neat and clean! UltraStudio Pro includes audio level meters for accurate audio level calibration. UltraStudio Pro's chassis is machined from solid metal with high grip silicon feet, so it's strong enough to withstand the most harsh broadcast environments." " Now you can capture analog video from VHS, Video-8, video cameras and more, direct to the H.264 file format as used by iPod™, iPhone™, Apple TV™ and YouTube™. Blackmagic Video Recorder plugs directly into your computer's USB and includes easy to use software. Get the highest quality video capture from any component video or regular video device. Blackmagic Video Recorder eliminates time consuming processing because it captures into the native file format of your mobile device. It can even copy to iTunes ready for syncing!". Offering two SxS PRO memory card slots, a 3.5inch high resolution LCD screen and a wide range of analogue and digital interfaces including HD-SDI input, the PMW-EX30 has been designed to be the ideal companion to not only the existing EX line up of camcorders, but also as a low-cost HD recorder for the live event and entry-level studio market. With the ability to dub to other HD formats such as HDV, XDCAM HD or HDCAM and with the addition of down-conversion of HD content to SD formats including DVCAM, the PMW-EX30 offers an ideal solution for those customers wanting to integrate XDCAM EX footage into a wide range of existing SD or HD tape-based or non-linear workflows. Digital Betacam is in widespread use world-wide for the production of very high quality programme material.  There is a substantial installed base of products and the format is readily accepted by many of the world’s most prestigious broadcasters. You can choose from a range of camcorders, studio VTRs, office players and a portable recorder for productions such as drama, natural history, arts, commercials or where you need to guarantee the best results for general TV programming. Reflecting market demands, employing higher standards of technology and using the experiences of the DSR-2000P, we will innovate the DSR-80P by introducing new line-ups, DSR-1800P. With all these excellence and innovations available, the DSR-1800P will be a major workforce in video production fields by satisfying those highly professionals. The DSR-1800P provides excellent performance in an editing environment. It has a full range of analogue and digital interfaces, a responsive search dial function and many other powerful features. A key advantage is playback compatibility with DV, DVCAM and DVCPRO (25 Mb/s). Offering 2.2 million pixels per colour, HDCAM recording and switchable between multiple frame rates including 50i, 24P and 25P. Viewfinder not supplied. Sony HDCAM has become firmly established as the de-facto High Definition (HD) production format worldwide, with a unique track record for production of the highest quality programming. Much of this reputation has been built upon the HDW-F900, the world's first 24P CineAlta HD camcorder, which received a Primetime Emmy® Engineering Award in 2004. In addition to providing HDV1080i recording and playback, the HVR-M25AE now features the HDV native progressive format capability, which provides stunning 1080p images at 24, 25 or 30 frames per second. * Along with support for both DVCAM and DV formats, the HVR-M15AE offers users the ability to work with both standard definition and high definition content. The HVR-M25AE is also compatible with standard size cassettes. The DigitalMaster -cassette can provide over 4 hours recording of HDV content - the ideal choice when longer recording times are required. The JVC DT-R24L4DU 24" Studio Monitor w/HD-SDI is a 4th generation "R-Series" monitor that shares the same chassis, quality, and most of the same features of its Verite counterpart, the DT-V24G1Z. Priced for affordability, this 24" monitor combines an impressive set of professional features with its 1920 x 1200 display, including dual-link HD/SD-SDI inputs that allow use of the full 4:4:4 color space while monitoring 1080/60p video. Meanwhile, the 10-bit processing and non-glossy LCD panel combine to provide highly accurate color reproduction. This is key when grading or matching footage in critical monitoring applications such as broadcast, studio, mobile, and location work. Other professional touches are the inclusion of time code support, tally lamps, safety markers, and advanced audio level metering. Native 1920 x 1200 IPS (In-plane Panel Switching) LCD panel offers wide viewing angle of 178°/178° with minimal color change from different viewing angles. Panel provides 1:1 monitoring of 1920 x 1080 signals while providing metering and status above or below the active picture area. The SE-500 is a small, analog four input switcher with a quad split preview output. It includes red, amber, and yellow tally markers to indicate the program, preview and other sources as well as the next selected effect. And there is a button that will cause the preview display to show the next selected effect. The SE-500 Kit comes with a TLM-702 dual-monitor bank and a monitor holder that places the TLM-702 right above the switcher. It is also available as a Hand-carried Studio HS-500, perfect for mobile purposes. MS-900 features also include a downstream keyer (DSK) for integration with character generator software, such as Datavideo CG-100 or CG-350 . Overlay (Keying) can be performed internally or externally. A separate Logo Display can be used independently of the DSK utilising two built in image stores with support for *.bmp image files.